This listing is for 1 - 1 oz. 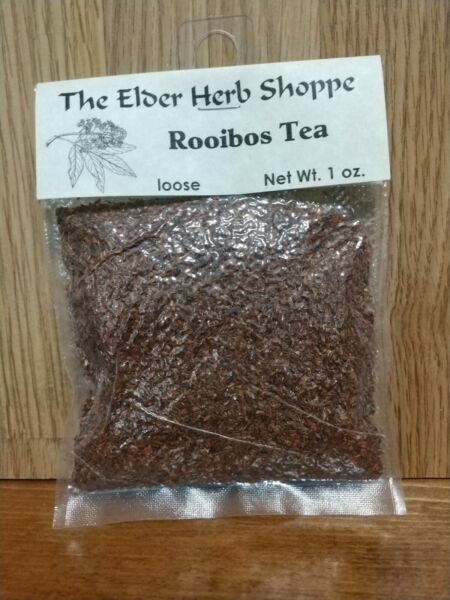 vacuum sealed package of Rooibos Tea, Loose. We ship same or next day depending on when payment is received. Tracking Details: All packages have tracking numbers and are automatically uploaded to ebay and PayPal. An email will be sent to your personal email with all of the shipment details and tracking number. This statement has not been evaluated by the FDA. This product is not intended to diagnose, treat, cure or prevent any disease. All research information is provided for educational purposes only and as a courtesy to our customers. It is NOT intended as a substitute for advice from your physician or other health care professional. If you have any questions about any of our products, please feel free to contact us.